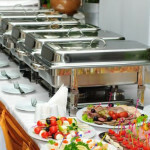 Keeping all the glasses and dishes spotless in your restaurant is essential if you want to pass health and sanitation inspections, and uphold a good reputation among your customers. With that being said, it’s essential that you have a quality dishwasher, not just to keep all of your kitchenware perfectly clean, but to also reduce wait time during the busiest hours. Even though it might seem like their purpose is trivial, dishwashers are an essential component of any kitchen. Make your dishes clean enough so your customers don’t feel like they’re eating off of something that isn’t in mint condition. Furthermore, if you come across commercial dishwashers that don’t make a lot of noise and don’t use too much energy, then you should definitely consider buying one, even if you need to pay a higher price. An energy efficient dishwasher may cost more initially, but you’ll end up paying less for its operating costs, which will save you money in the long term. So let’s get back to discussing the two basic types of commercial dishwashers. Pass through dishwashers feature a large door on the front which can be left open until you fill them up. You can then slide the rack full of dishes inside the machine, close the door, and get your clean dishes just a few minutes later. These pieces of technology are designed to be efficient and fast, which makes them ideal for busy kitchens. On the other hand, undercounter dishwashers are the preferred option for coffee shops, bars and smaller restaurants that don’t have as much space as large commercial kitchens do. With that being said, they have a smaller capacity than the pass-through type, but they’re also significantly cheaper. They’re considered the “stepping stone” between commercial and residential dishwashers. 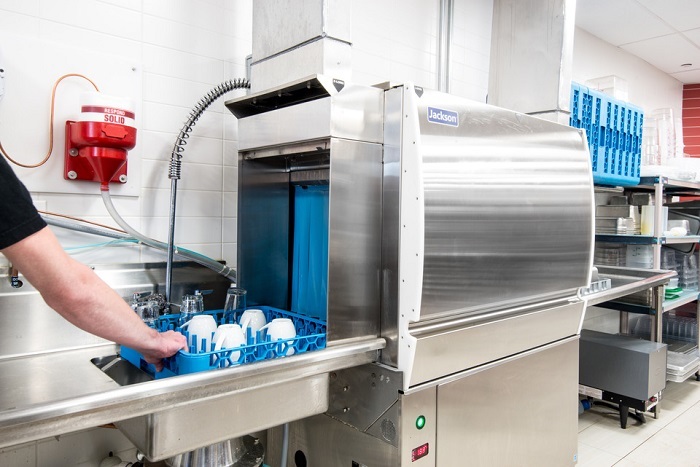 Bottom line is, a dishwasher can help your restaurant’s kitchen immensely, but for that to happen you need to pick the right model with the right capacity, size, noise and energy consumption.